If you work in the rescue or survival industry, you are aware of how important it is to make sure you are equipped with the proper tools.Even while camping out with the family, you can never be too cautious. It is better to be safe than sorry, and having survival knives for you and your family will make your outings as well as your workplace safer.Here at Statgear, we are honored to offer fresh and new innovative tools for the rescue and survival industries.We are pleased to announce the T3 Tactical Auto Rescue Tool that will help you and your family stay safe. Furthermore, we have distributors all around the globe, and we have developed new products in several markets.Although we guarantee that our products are high quality, we offer a return policy for a 30 day money back guarantee to ensure that you are satisfied with your purchase. Moreover, our Affiliate Program offers a commission for lead generated sales on survival knives. The T3 comes with a spring loaded steel tip window punch, along with a stainless steel hook blade for seatbelt cutting.You will even receive high quality LED lights with replaceable batteries, with a ½ serrated stainless steel blade.In addition, the T3 comes with a stainless steel belt clip with a heavy duty nylon belt sheath. Moreover, the blade length for these survival knives are 3 ¼, with a complete tool length of 5’’, and weighs in at 6.4 ounces. How to Use the T3 Survival Tool? You must practice caution while using survival knives such as the T3, especially while closing the blade.First of all, the knife edge should be facing you, where you should see two pieces of flat steel in the middle of the knife. One will go all the way from the top to the bottom of the handle, and you should see the right one is bent. This bent piece is the liner lock, and you can use your right thumb to push this piece towards the left side. At the same time, you can carefully close the knife blade. 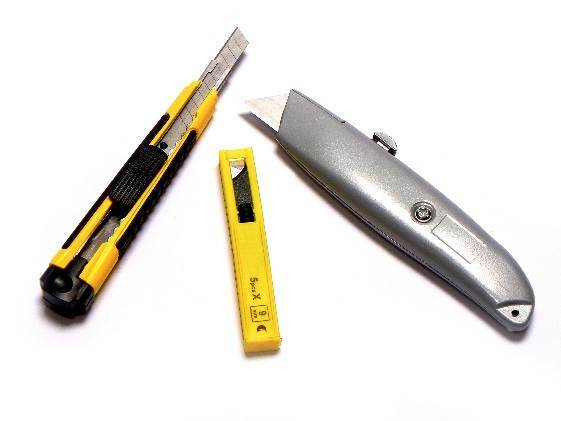 In addition, there is the same type of lock for the hook seat belt cutting blade which is at the back of the knife. You have to hold the window punch against the window, and push with some force. The steel point will shoot out and shatter the glass, while drawing back automatically. However, like any tool you should wear protective gear, and practice caution with survival knives. In addition, this product has been featured in several well-known magazines including Men’s Health Magazine and Gizmag.com. Moreover, like any other knife, you must be of legal age to order the T3 or other survival knives. You should check federal, state and local laws in the city you live in before you order our product. There is potential for serious injury if it is misused, or left in the wrong hands. This innovative product by StatGear can keep you and your family safe, but you must do your part as well.